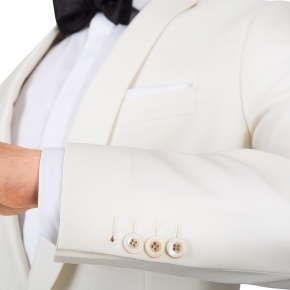 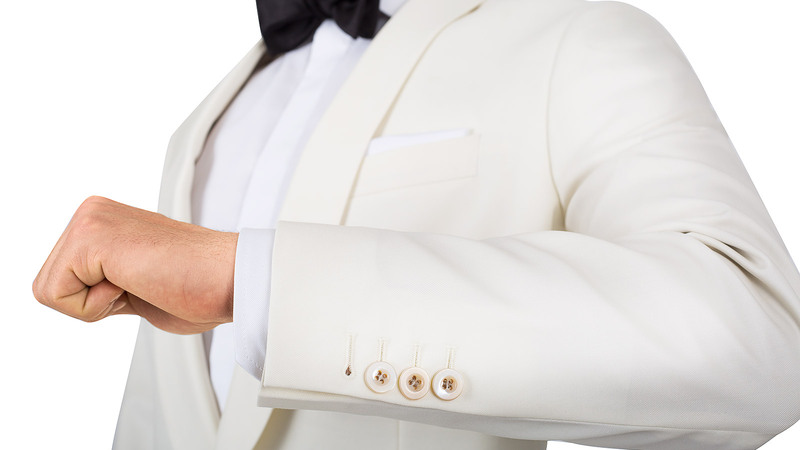 If you are seeking a formal look with a white or ivory dinner jacket to attend events in the spring & summer - or even for your special day, we recommend pairing an ivory dinner jacket with black tuxedo pants rather than going for an all-ivory tuxedo. 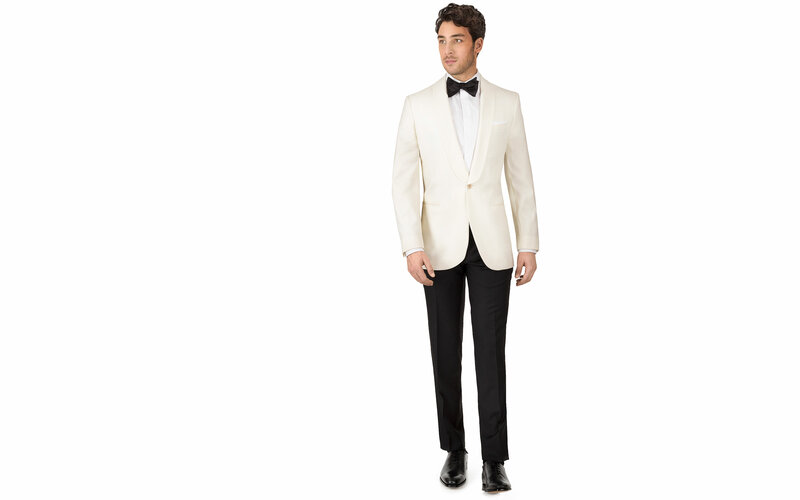 This dinner suit features self-faced shawl collar (no satin), mother-of-pearl buttons and classic black tuxedo pants with a satin stripe on the side. 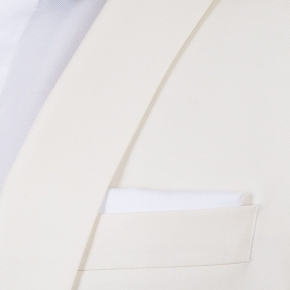 The 100% Super 110s wool fabric woven by the Italian fabric experts Vitale Berberis Canonico is finely luxurious and results in a classic dinner jacket.